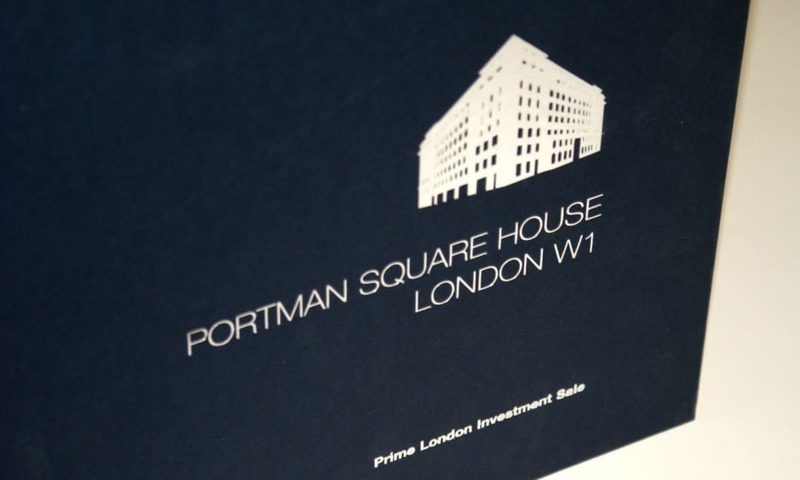 Portman Square House is located in the heart if the West End. The area is characterised by high quality office accommodation, world-class shopping and highly sought after residential addresses in both Marylebone and nearby Mayfair. We were commissioned by Cushman & Wakefield, a tenant in the property, to design an investment brochure that reflected the quality of this striking headquarters office building on Portman Square, one of the West End’s prime garden squares. We achieved this by utilising quality finishes; foil blocking elements on the cover, applying a special varnish to the images and using superior quality papers throughout. With offers invited in excess of £127 million, the price reflected London’s position as a safe haven amid the economic volatility and limited opportunities to secure such prime real estate within London’s West End.